Today Tamron has officially announced the Japanese price for new announced Tamron 28-75mm f/2.8 Di III RXD lens. The Japanese price for this lens is JPY 94,500, US price will be around $799, release date is on May 24 in Japan. You can check price and pre-order option at B&H Photo Video. 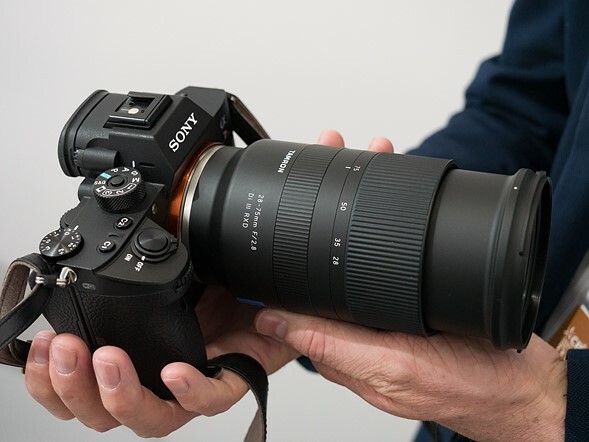 Previous Previous post: New Lowest Price – Sony Vario-Tessar T* FE 24-70mm f/4 ZA OSS Lens for $898 ! Next Next post: New Sony Camera WW771132 Confirmed ! a7S III or a6700 or RX100 VI ? Hot Deal – Sony a6500 Body for $735 (Used – Like New, Amazon Warehouse) !